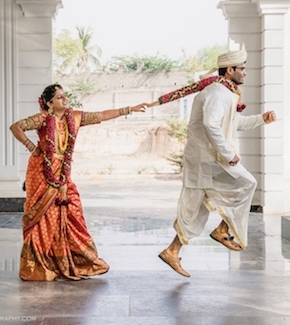 Destination Wedding is probably a new thing in India, but more and more people seem to be interested in this trend. 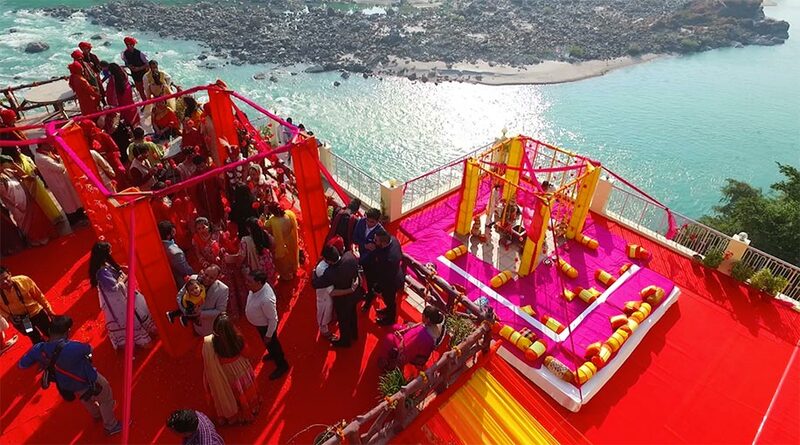 Most of the couples want a grand wedding ceremony away from their city life and so choosing a beautiful place for the wedding has become a trend. India is a mix of exotic and beautiful locations that can host a perfect destination wedding in India. 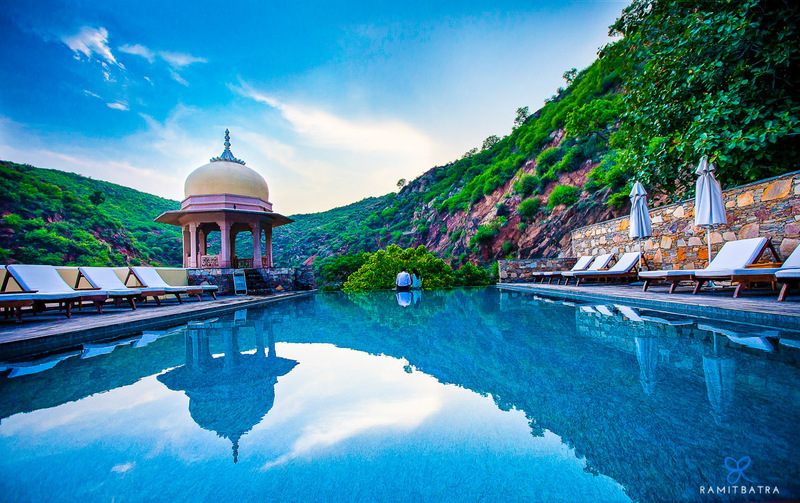 So, whether you love beaches or mountains, palaces or forts, India has it all for you. 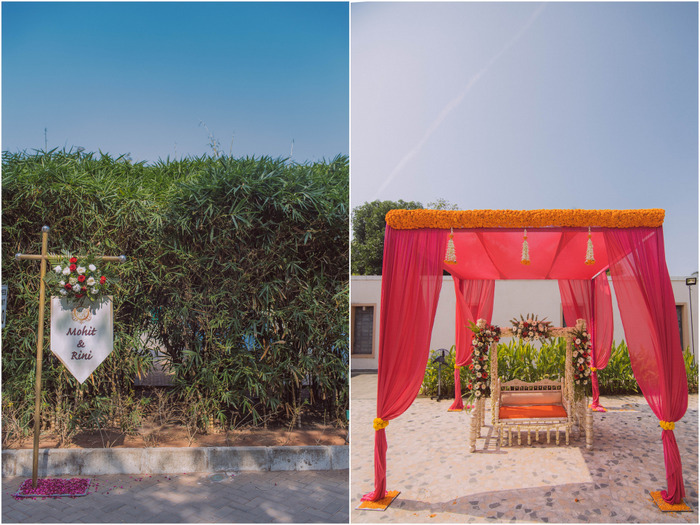 To make your wedding day more special and memorable, we have a list of places for the perfect destination wedding in India. 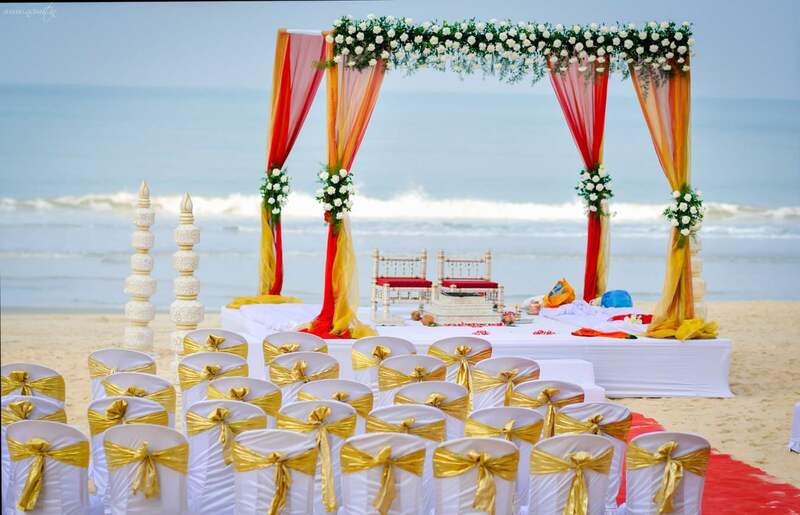 Goa is undoubtedly the most popular place and a perfect wedding destination in India. 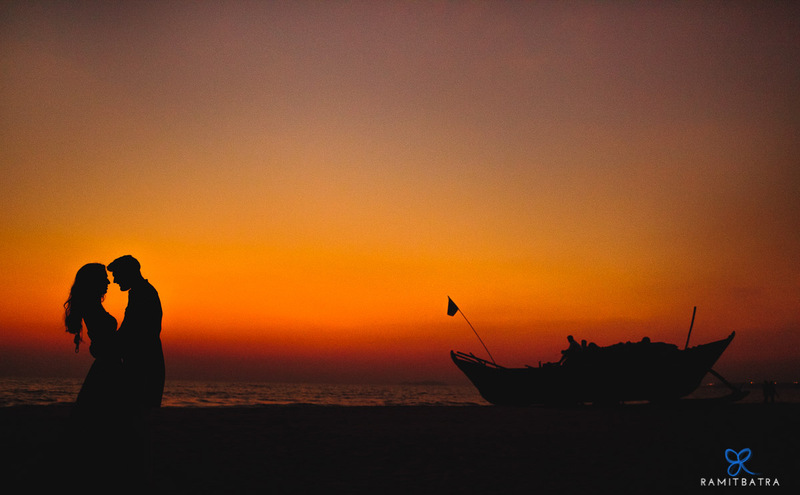 Whether you want a beach wedding, garden wedding or a fairy-tale like sunset wedding, Goa gives you all the choices. Tying knot at such exotic location would really be a beautiful experience. Beaches, palm trees, sand, water waves and the peacefulness together makes this location so suitable for dream weddings. Also, weddings in Goa make a pretty perfect picture! Udaipur weddings are known for its royalty and if you are looking for a grand wedding venue then, Udaipur would be a perfect choice. 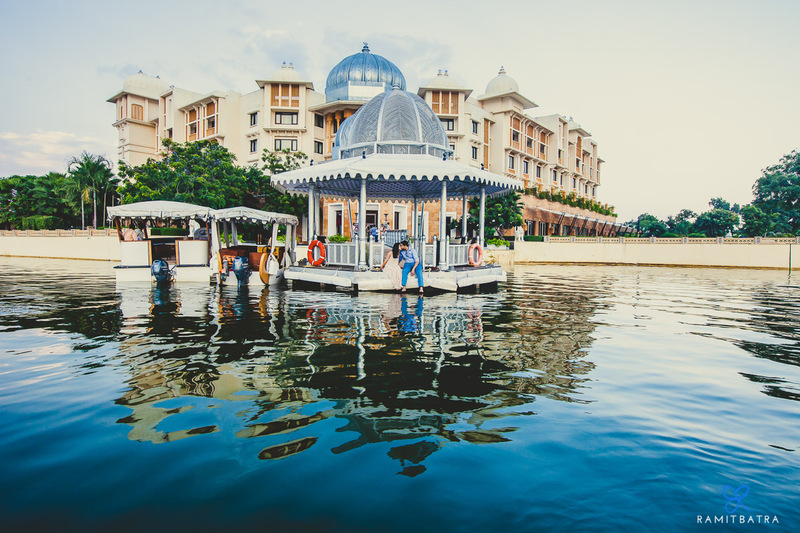 Udaipur has beautiful lakes and large palaces which make it a very nice location for the perfect destination wedding in India. Clear blue skies, such big palaces, temples, and lakes make this place a heaven for the couples. Kerala- also known as “God’s own country” is one of the best places for weddings in India. It is the best for those who want a peaceful wedding in a tropical setting, alongside the banks of the lake. You can find a number of beautiful resorts which offers great service for weddings. 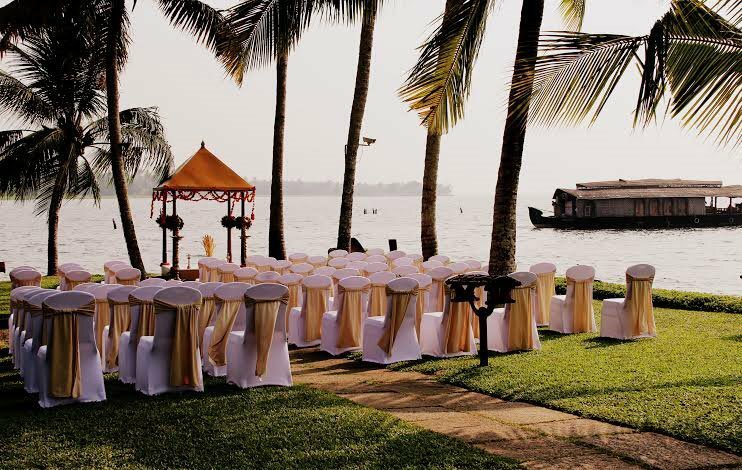 Kerala offers striking views that would just be so beautiful for an Indian wedding. The best part is that it has beaches and palm trees! Jaipur, the pink city of India offers a great heritage and beauty. This city has great palaces and mansions which offer wedding services. 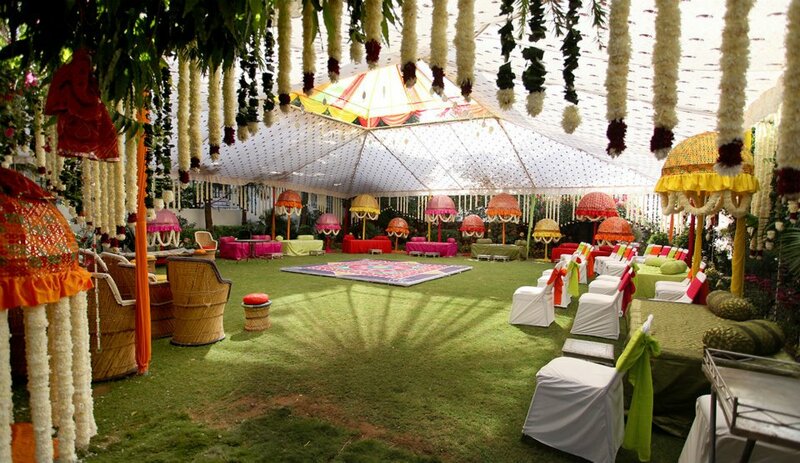 The whole ambiance of the city and its culture gives the wedding a royal touch. The most famous wedding venues of the city are Raj Palace, Gold Palace and Samode Palace. 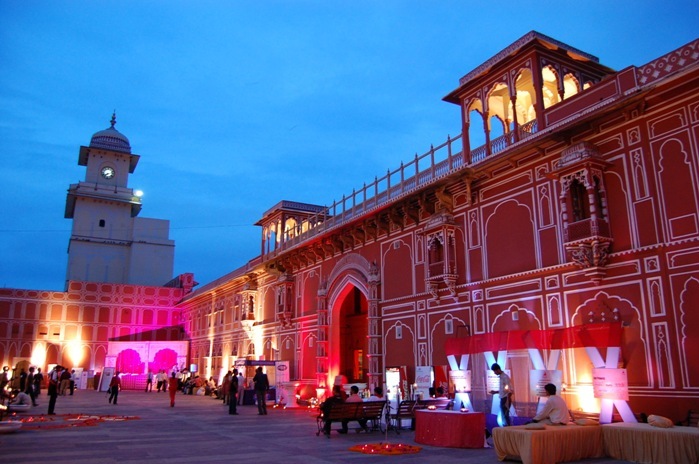 If you are looking for a large scale royal wedding in old forts and palaces then, Jaipur is the perfect destination. Home to Taj Mahal, Agra needs no introduction and what better way to tie the knot with the symbol of love in the background. 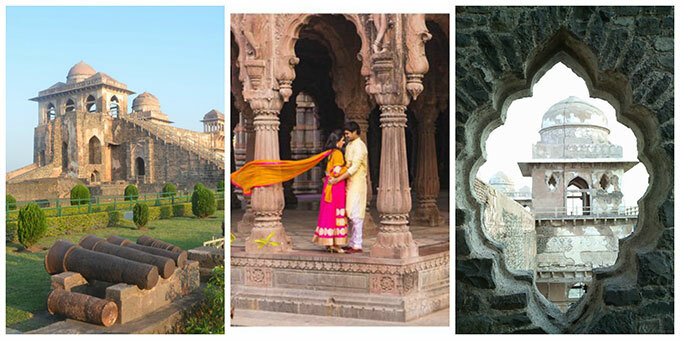 Agra is a historical place which is another reason why couples choose this place as their wedding venue. This place is exotic and has the perfect ambiance for occasions like these. Other than the Taj Mahal, there are other great wedding venues too. This city has gigantic resorts and hotels where many people organise their wedding. 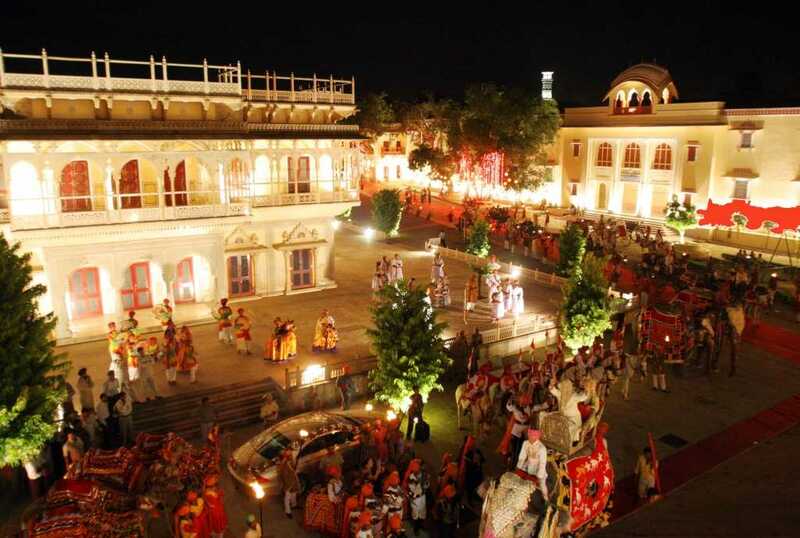 Rajasthan just doesn’t fall short of beautiful destinations for the wedding. Jodhpur is yet another city of Rajasthan which offers great services and comfort. This city has huge hawelis and historical places which make it even more popular. 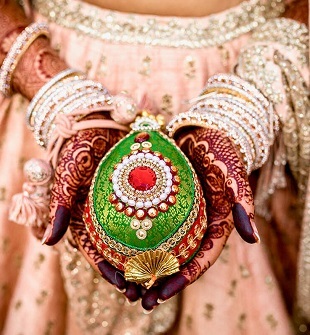 Whether you opt for a traditional wedding or a theme-based wedding, Jodhpur has everything set for you. 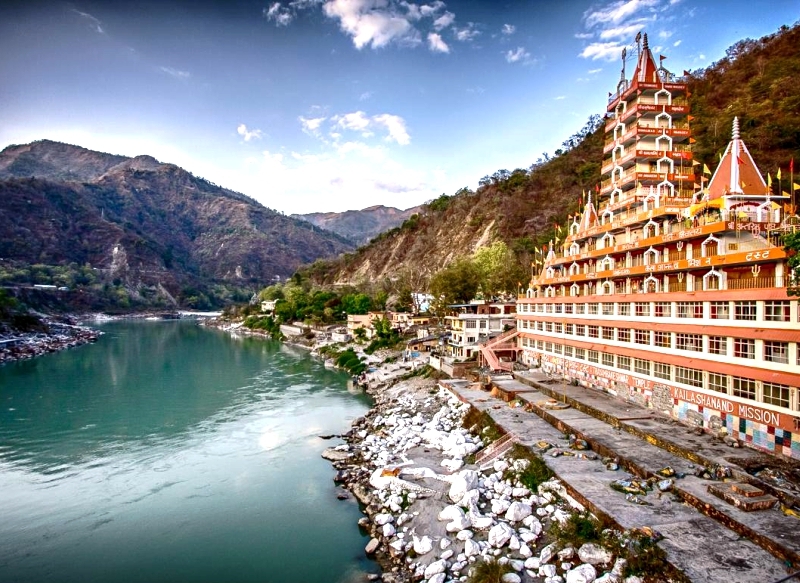 Rishikesh, a holy place alongside the banks of Ganga. Rishikesh is an ideal choice for a perfect destination wedding in India because this place is known for its traditions and culture. Apart from being a great place for spiritual relaxation, it is also a very clean and green city. The city has some beautiful hotels offering wedding services. 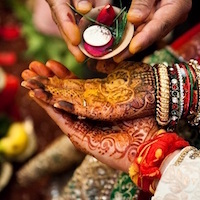 Rishikesh is perfect for couples looking for a traditional wedding with all the customs and rituals. 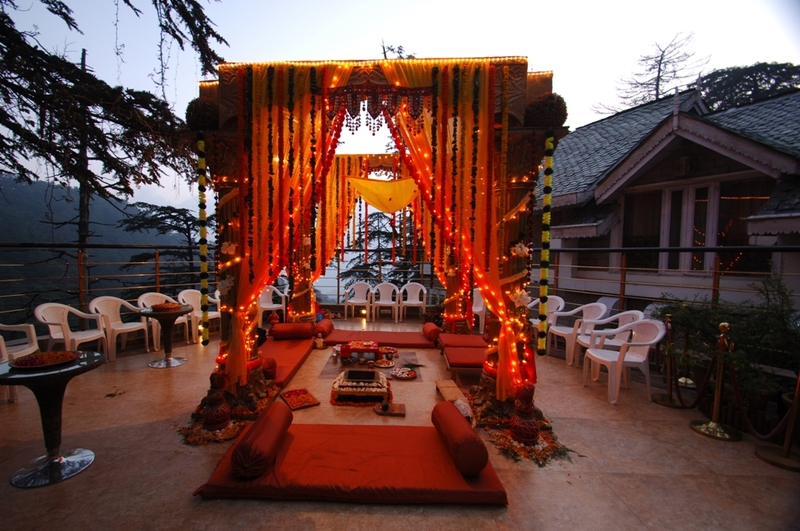 If you are looking for a unique offbeat wedding destination then, Shimla is the place for you. Shimla is the perfect choice for an exciting wedding as the guests will be enjoying the rituals while exploring a new place and they can also get some sightseeing opportunities here. A mere 2-hour drive from Mumbai will take you to the stunning beaches of Alibaug. This place is very beautiful and has resorts and bungalows which are famous for oorganizing grand weddings and ceremonies. A very peaceful coastal atmosphere and lavish resorts are things which make this place so popular for a perfect destination wedding in India. Mandu is a small town in Madhya Pradesh which is famous for its architectural beauty. The Mandu Palace is set amidst the Satpura mountains which make the place even more pleasant to the eyes. Mandu is often associated with the love legend of Prince Baz Bahadur and singer Roopmati and so, it is also an epitome of love and romance. Imagine exchanging vows with your partner at any of these beautiful places. Wouldn’t it be a dream come true?